The Irish Horseracing Regulatory Board appoints Stewards and Officials each raceday to ensure that the Rules of Racing and Irish National Hunt Steeplechase (INHS) Rules are complied with. There must be a minimum of three and a maximum of five stewards for each racemeeting. There is a panel of stewards for each racecourse from which a chairman and deputy chairman are appointed annually. Stewards that act on a raceday are selected from this panel. All stewards must undergo regular training and since 2010 must complete a trainee stewards scheme prior to being eligible to steward. Stewards must have a detailed knowledge of and interest in horseracing. Stewards are required to step down from any enquiry if they have any conflict of interest and are required on an annual basis to declare conflicts of interest. The Stewards have full power to make (and if necessary to vary) all arrangements for the conduct of a racemeeting as they think fit or to abandon the meeting, or part of the meeting, or one race of the meeting or to declare a race void. Stewards view the races to ensure the Rules of Racing and INHS Rules are complied with. This includes determining the outcome of the race should interference have taken place, ensuring all horses are ridden on their merits, and penalising any licensed persons found to be in breach of the Rules. Stewards act on a voluntary basis and do not receive any remuneration or expenses for the work they carry out. All officials are licensed annually by the Irish Horseracing Regulatory Board. The Clerk of the Course is also the person having the ultimate responsibility for deciding to bypass a fence or hurdle, having full authority to invoke such bypassing procedures for whatever reason and to take steps they feel necessary in order to address any emergency which might occur during the course of a race including the stopping of a race. The Stewards’ Secretary advises the Stewards, where appropriate, on the interpretation of the Rules of Racing and the INHS Rules as far as they relate to the conduct of a race meeting. The Handicapper apportions the weights for every handicap. There are four handicappers, two of which are responsible for flat racing and two for national hunt racing. The handicappers are responsible for the publication of weekly ratings based on performances on the racecourse: the higher the rating, the better the horse. The horse’s handicap rating determines its eligibility to run in specific races. Most handicaps are restricted to horses with ratings in a particular range, 0-70 for example. So the rating not only determines on the weight that a horse will carry, it also determines in which races it can run. The Clerk of the Scales is responsible for weighing out and in the riders for each race thereby ensuring horses carry the weight allocated to them in the race. They are also responsible for ensuring that the rider wears the correct colours and for reporting any overweight carried by the rider. The Starter starts the race with the objective of ensuring all horses achieve a fair start. Flat races are normally started from stalls and jump races by tape. The starter is in full control of what happens at the start and has the power to withdraw unruly horses or horses that refuse to load into the starting stalls. The Judge is responsible for placing the first six horses (or if prizemoney is advertised beyond fifth place the number of extended placed horses) participating in the race which have passed the winning post, the order in which they have passed and the distance which separated them. The Judge shall base a decision exclusively on the position of the horses’ noses at the time they pass the winning post. The Veterinary Officer is responsible for supervising the sampling unit and for the clinical examination of horses on the racecourse and for the provision of advice on veterinary matters to the Stewards. They are also responsible for verifying the identity of horses and checking the vaccinations. On certain designated racedays, the Veterinary Officer will examine all horses prior to running to ensure that they are fit to run. The Veterinary Assistant is responsible for assisting the Veterinary Officer on all matters including the identification of horses, sampling and vaccination checks. The Medical Officer is responsible for the medical supervision of all riders and for the provision of advice on medical matters to the Stewards. They are also responsible for carrying out examinations on riders prior to being licensed or relicensed in certain circumstances. The Security/Investigations Officer is responsible for the security at a racemeeting insofar as it pertains to regulatory matters including the weighroom and stableyard area. The Turf Club is a founder member of the International Federation of Horseracing Authorities, which was established in 1993 together with the Jockey Club of Great Britain, the Jockey Club of the United States and the Société d'Encouragement pour l'Amélioration des Races de Chevaux de Galop en France/France-Galop. The main aim of the Federation is to promote horse racing and breeding, and the integrity and prestige thereof, throughout the world. The Federation replaced the International Joint Secretarial Liaison Committee which was established in 1961 where the Chief Executives of Horseracing Authorities Great Britain, Ireland (The Turf Club), United States and France met and discussed subjects of common interest. This Committee played an essential role in the development of international relations and the harmonisation of rules of racing. The Turf Club is a founder member of the European Horserace Scientific Liaison Committee (EHSLC), which was set up in 1992 following discussions between France, Britain and Ireland. 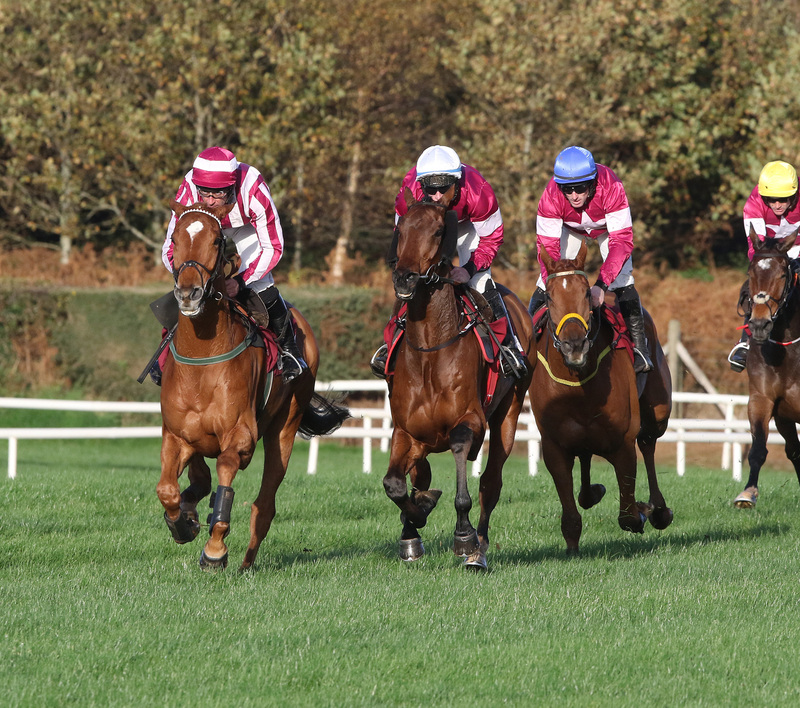 The aim of the Committee is to work towards greater harmonisation in doping control and to encourage co-operation in research so as to face future challenges concerning the illegal use of prohibited substances in racing. In recent years the racing authorities of Germany, Italy and the Scandinavian countries joined the EHSLC. The Turf Club is one of the founder members of the International Conference for the Health, Safety and Welfare of Jockeys. A conference takes place every two years, which deals with jockeys’ health and welfare issues attended by representatives of 15 international racing jurisdictions. The Turf Club currently holds the chairmanship of the conference and has done so since its inception. The Turf Club is a founder member of the European Medical Officers group together with the chief medical officers of France, Britain and Germany. The main objective of this group is to set uniform medical standards for riders in Europe. The Turf Club currently holds the chairmanship of this group. The Turf Club is a member of the World Thoroughbred Rankings Conference, which prepares the International Federation of Horseracing Authorities’ official end of year assessment of the top thoroughbred flat racehorses. The rankings comprise all horses which have run during the calendar year, and which have been rated above a certain standard by the World Thoroughbred Rankings Conference. The Irish National Hunt Steeplechase Committee is a founder member of the Anglo-Irish Classifications, which is responsible for the publication of the official end of year assessment of the top National Hunt horses in Ireland and Britain. The Turf Club is a member of the International Committee for the Harmonisation of Raceday Rules, which is the committee that has been charged by the IFHA with the harmonisation of Rules of Racing internationally. The Turf Club and the Irish National Hunt Steeplechase Committee are both private bodies. Members of the two bodies are elected for their knowledge and experience of both the sport and the business of racing in Ireland, and for the contribution they can make towards the administration of the sport. The Members elect six Stewards, three of whom come from the Turf Club and three from the INHSC. In effect the Stewards are the Board of Directors of the Turf Club and INHSC and as such responsible for seeing that the overall policy of the organisation is implemented. While working in harmony the two groups of Stewards also have specific responsibility for their own area in racing. Both bodies also provide Stewards for all race meetings held in Ireland. There must be a minimum of three with a maximum of five Stewards for every race meeting. Between two and four Stewards appointed for any race meeting will be drawn from the membership of The Turf Club or INHSC. A further Steward will be selected from The I.H.R.B's professional integrity services staff. While having full voting rights, the professional Steward is also there to advise the other Stewards on the day. The Stewards deal with all matters relevant to the proper conduct of the meeting and ensure that the rules are applied. Any decision of the Stewards at a race meeting is subject to appeal. The appeal may be heard by the Appeals Body sitting in two divisions, each comprised of three members. The first division is chaired by an Independent Chairman and the second division by a member appointed by the Directors of the I.H.R.B. The IHRB is a member of this Committee which was established in 2003 to facilitate the smooth running and administration of horseracing internationally (before, during and after the event) by determining, and encouraging adherence to, best practice in regard to procedures and rules of racing. All of the IHRB’s Veterinary Officers are members of this association that unites regulatory racing veterinarians worldwide. The group was founded in 1985 and plays a major role in promoting the welfare and integrity of racehorse – see https://www.igsrv.org for more details.